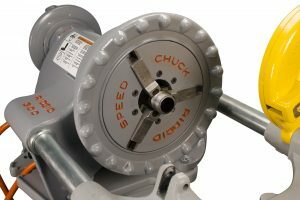 The Steel Dragon Tools Reconditioned RIDGID® 300 is a versatile power drive that can be used for pipe threading or roll grooving applications. Steel Dragon Tools is an industry leader in reconditioning and refurbishing used or broken pipe threading machines and pipe threading accessories. Each machine is disassembled, degreased, cleaned, painted, reassembled. New parts that meet or exceed OEM specifications are used to guarantee the machine will run like new. All reconditioned machines from Steel Dragon Tools are backed by a one (1) year warranty against manufacturer defect. 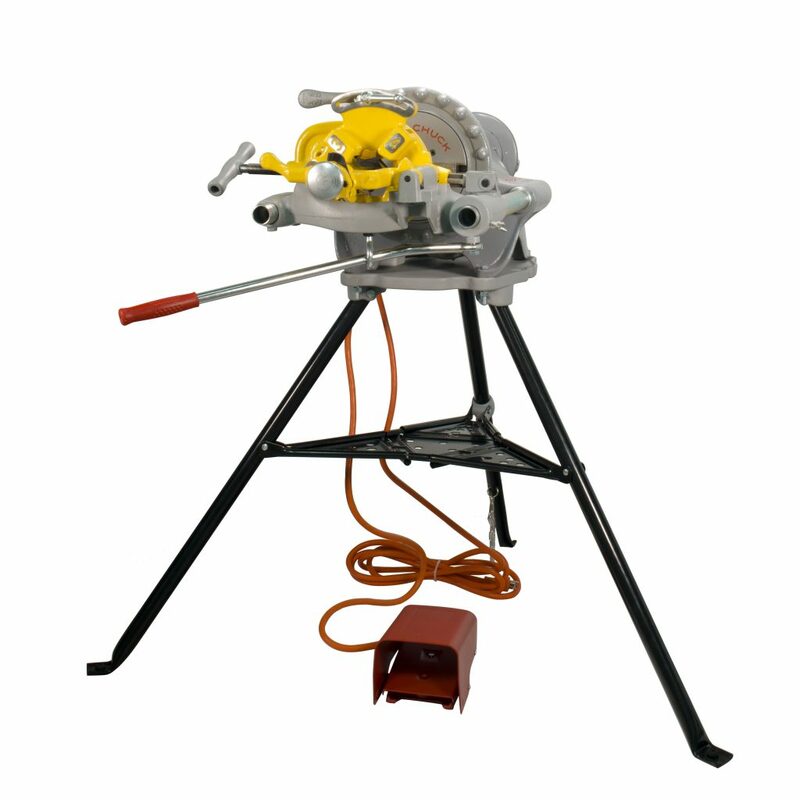 Steel Dragon Tools offers the reconditioned RIDGID® 300 in several different packages. Customers can choose a package that will meet their needs. Packages include pipe threading machines with extra dies, extra die heads, or pipe threading oil. Packages are available with either reconditioned RIDGID® accessories or Steel Dragon Tools accessories. These accessories include an 811A die head, universal high-speed dies, 360 pipe cutter, 341 pipe reamer, 311 carriage, 1206 stand, and 418 oiler bucket. The reconditioned RIDGID® 300 is equipped with a foot pedal for hands-free operation and has a pipe threading capacity of 1/4-inch pipe to 2-inch pipe. The reconditioned RIDGID® 300 can also be used for roll grooving with a compatible roll-grooving attachment. All reconditioned RIDGID® 300 pipe threading machines are compatible with RIDGID® and Steel Dragon Tool accessories and replacement parts.